Members of Ohio National Guard Interact with Students Including Some Members of Black United Students. Photo by Lafayette Tolliver. Kent State University was placed into the international spotlight on May 4, 1970, after 13 students were shot by members of the Ohio National Guard at a student demonstration. Four students were killed and nine others were wounded, including one who was permanently paralyzed from his injury. 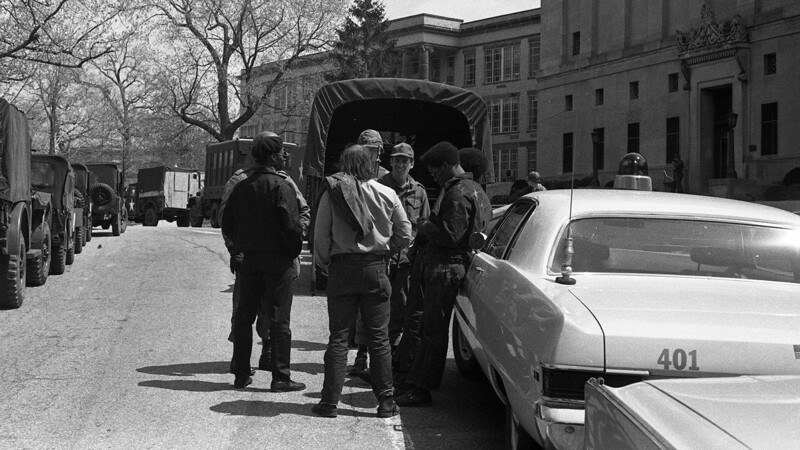 The May 4 Collection, established by the Kent State University Libraries in 1970, includes over 300 cubic feet of primary sources related to the Kent State shootings and their aftermath. The collection is open to the public and is used by researchers from around the world.